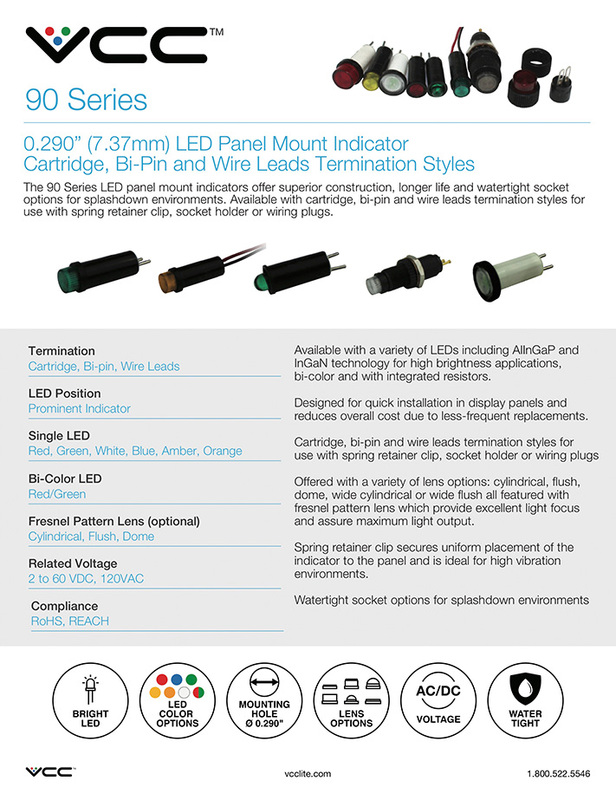 The 90 Series LED panel mount indicators offer superior construction, longer life and watertight socket options for splashdown environments. 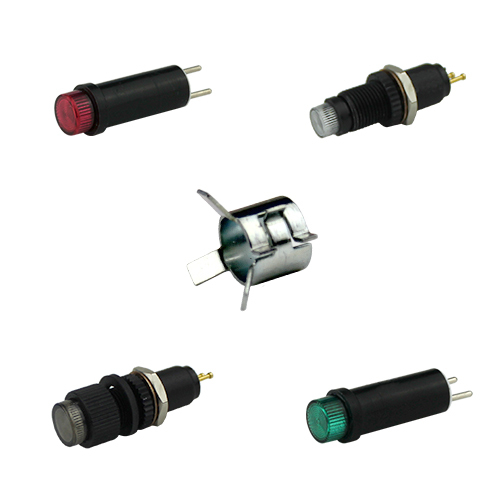 Available with cartridge, bi-pin and wire leads termination styles for use with spring retainer clip, socket holder or wiring plugs. 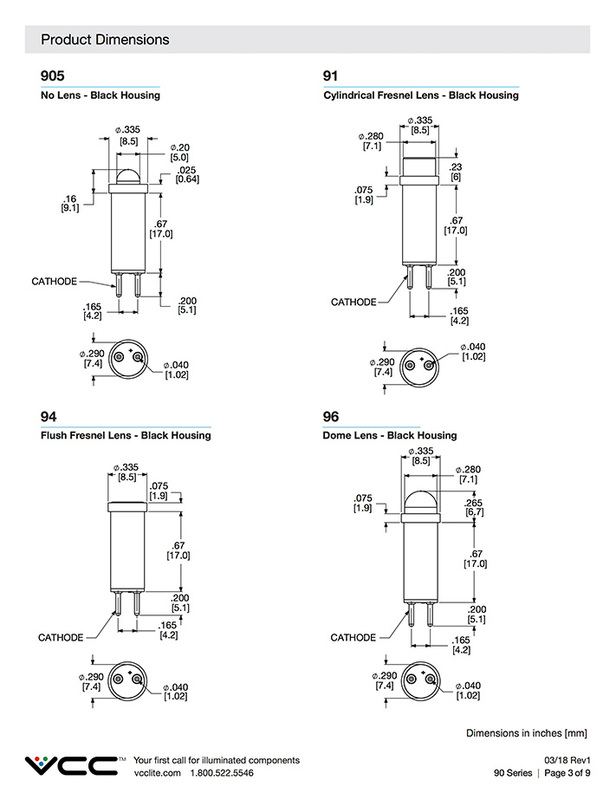 Black bezel offering to enhance LED contrast. 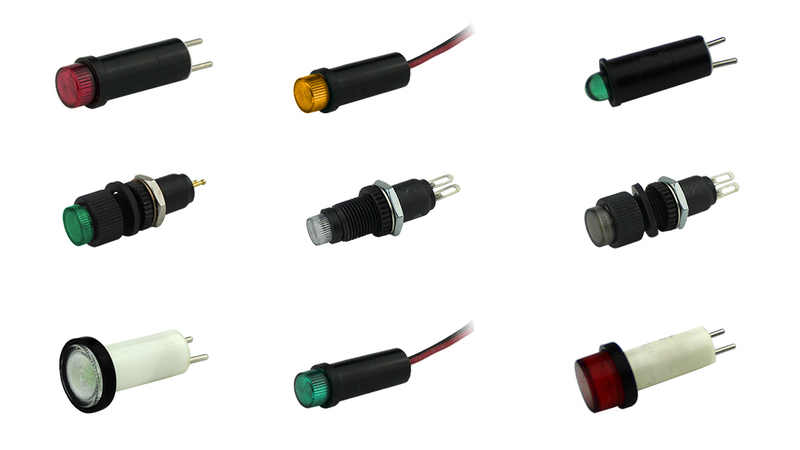 Ideal applications: industrial equipment, transportation, signal indicator, maintenance and warning indication, status indication, instrumentation, trucks, aircrafts. 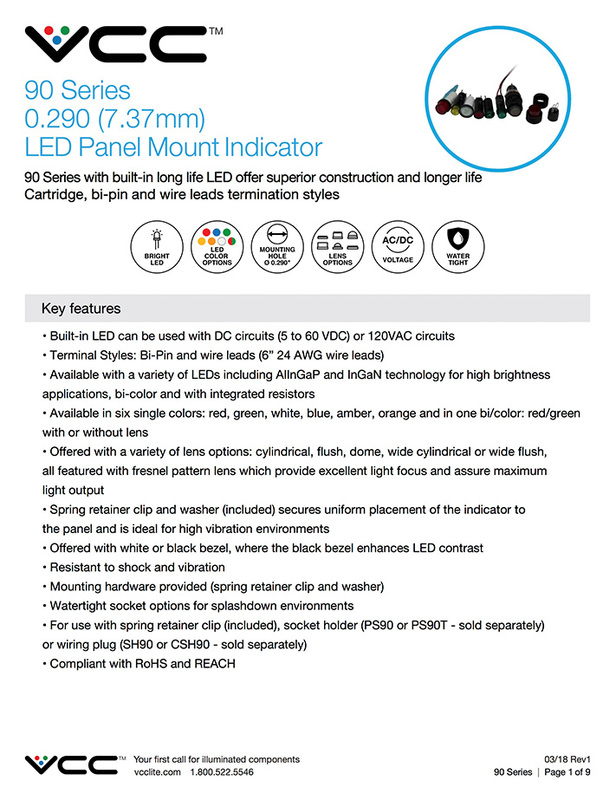 The 90 Series LED panel mount indicators offer superior construction, longer life, and are designed for a variety of applications such as power indication, status (warning) indication, and maintenance indication. 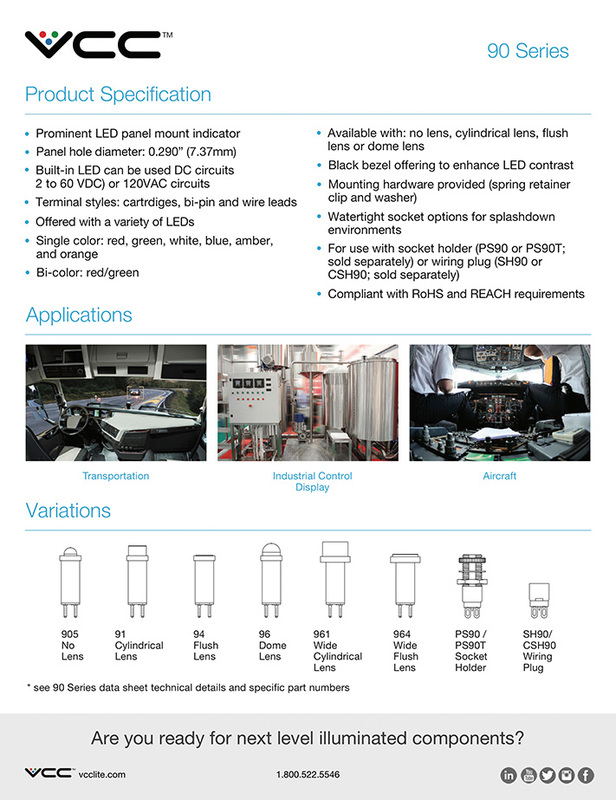 Available with a variety of LEDs including AlInGaP and InGaN technology for high brightness applications, bi-color and with integrated resistors. Black bezel offering to enhance LED contrast.